Power Quest – MedHospAfrica-Kenya, Tanzania, Africa Medical Importers Directory. We would like pleased to introduce you that Power Quest has been serving their patrons more than four decades manufacture and export. There are number of Sialkotian who manufacturer and export their products all over the world. 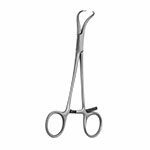 We have the distinction from other as we Manufacture of Titanium & S.Steel Surgical, Dental, Beauty, Veterinary, Hollow ware & General Surgery instruments and all sorts of Scissors along with Beauty Care Instruments. Not only in Stainless Steel inserting TC/tips but also in Titanium to convene the highest performance of the instruments. Our motto is QUALITY that goes with the selection of raw material for the manufacturing of instruments to accomplish the highest performance, durability and easy hand use of our products. We are looking to get your very positive response in respect our skills and craftsmanship, what we are calming in practically. Please do not hesitate to write us you may required any further information or samples.